Read an Ebook Week – Free Books! It’s almost here! 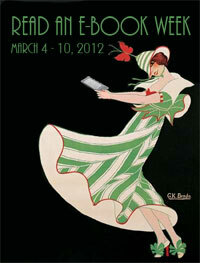 Read an Ebook Week is a hugely popular event that runs this year from March 4-10. We are again proud to be participating and will be offering multiple ebooks each day all week long for FREE! Yep, that’s right, we’ll offer some of our biggest sellers for free on each of those days. Each day will bring a new set of books, so be sure to check back. We’ll post announcements here each day so if you subscribe to this blog, you’ll get updates on what’s available. So join the fun, there are lots of great deals to be had across several publishers. So trawl the internet for great, free books and fill up your ereader! Recently I discovered an email malfunction whereby several manuscript submissions had been lost in cyberspace since last summer. We had closed submissions shortly after that, but these folks never got a proper response to their submission. Couple that with the fact that another couple books had been on the back burner waiting for a response, and I was feeling pretty bad about going back to these authors with a response. But I did, I felt really bad and wanted to make it right. I emailed all the authors. In most cases, the authors had moved on and had self published – a good choice. Others were still interested in having us read over the query. For some of those that were left, I could tell that the book was simply not for us – for many reasons. In the case of one book, I knew we weren’t going to take it on just from the query. I read over the first part of the book to give it a fair shot and then sent a very polite and probably too-nice rejection back to the author. What I got in return was a very poorly crafted email lambasting me for unfair practices, accusing me of not reading the book, calling me something I try very hard not to be and being generally mad at me for making a judgement call which in the author’s opinion was not correct. It was full of grammatical errors – obviously written in anger. It was actually the first time that I’ve received that kind of note back from a rejection – all the others before have been quite professional. Oh boy. I sure wish that author had written that note and then decided to wait 30 minutes before hitting the send button. I think they would have decided against sending it. All they accomplished was to vent their anger to someone who doesn’t care (or matter to them), making themselves look unprofessional, sloppy and immature. And it made me think about the next time I send a rejection letter. I’ll just say no and that’s it. Why bother with niceties like “I wish you all the best in your writing career…”? Listen, I know rejection is hard. No, I’m not a writer. But I get rejected all the time. Bookstores won’t carry a book. The terms I get offered aren’t as good as those for the Big Six. A distributor doesn’t answer. Reviewers hate a book. Could you imagine me sending a note back to one of them telling them the things this author said to me? Rejection happens to all of us. But business is about shaking it off and making the decision to keep going. And to keep our anger and hurt out of professional communication. Heck, go to the bathroom and cry or smash a pillow against the wall. But an angry note written in haste won’t do a thing to help one’s cause. The blogosphere is replete with stories of authors gone crazy. I guess I can consider myself inducted into this world now. By writing this, I’m not trying to call out anyone. I sincerely hope that this post reminds all of us (author, publisher, or otherwise) to conduct ourselves with grace and professionalism – even in the face of rejection. As we grow, we are proud to release books that are welcomed by readers. In the case of Lily, we are re-releasing a novel which has had a great response from the young adult community. Originally released in 2010, Lily has undergone some changes, sporting a new cover and is now available in print. This is all done in anticipation of the release of Datura, the next in the series. 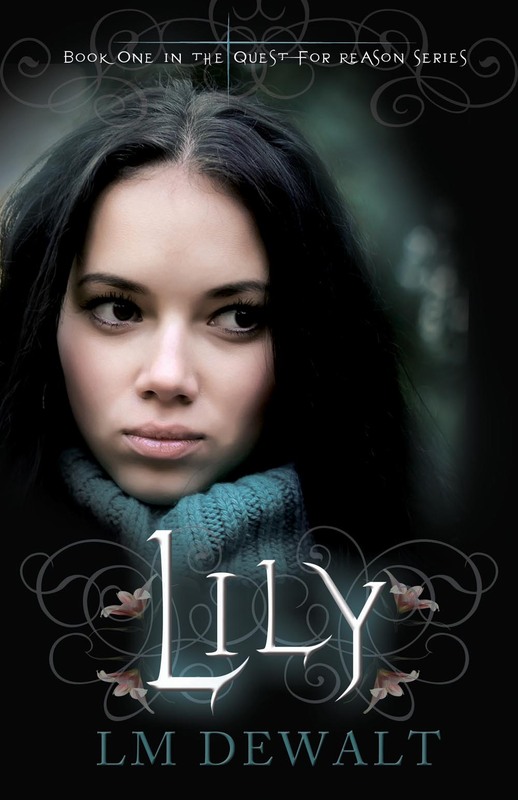 Lily is a lonely vampire, unwillingly brought into her existence by a selfish maker. Unaware and uneducated, she meanders through life, lonely and yearning for someone to love. The beauty of this story is that it mirrors what we all go through, the search for friends, the desire for acceptance by our peers. Lily’s story is our own and it is what has made this book a success. LM DeWalt is a Peruvian American who has been living in the US for 30 years. 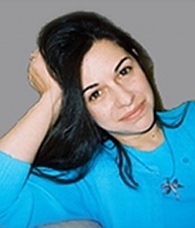 She works as a teacher of ESL, Spanish, French, and accent reduction and is also an interpreter and translator and runs creative writing groups. She is currently attending teacher’s college. She has written for several Spanish language newspapers but her dream was always to write novels. Her love of vampires started when she was seven years old and saw Bella Lugosi’s Dracula.